You may wish to see an introductory page with a map first. During the XVIIth century many Grand Masters imitated the popes of that same period by building churches, palaces, fortifications and aqueducts and by decorating them with paintings, statues, inscriptions and fountains. This page is illustrated with coats of arms of the Grand Masters. 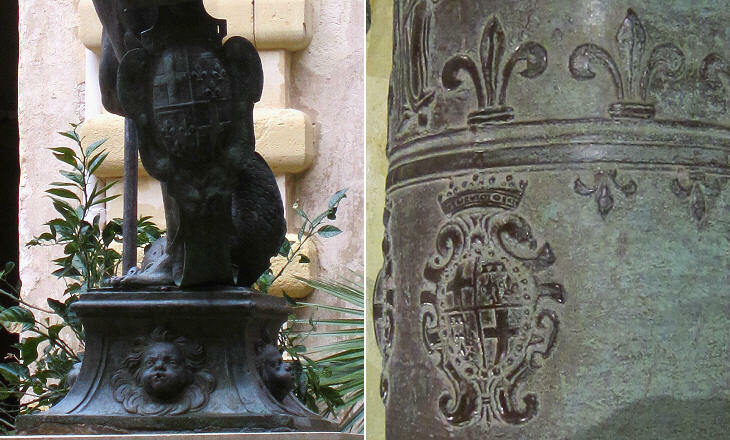 The long government of Alof de Wignacourt was contemporary to the pontificate of Pope Paul V and the Grand Master emulated pope's Acqua Paola by building an aqueduct and a series of fountains at Valletta. 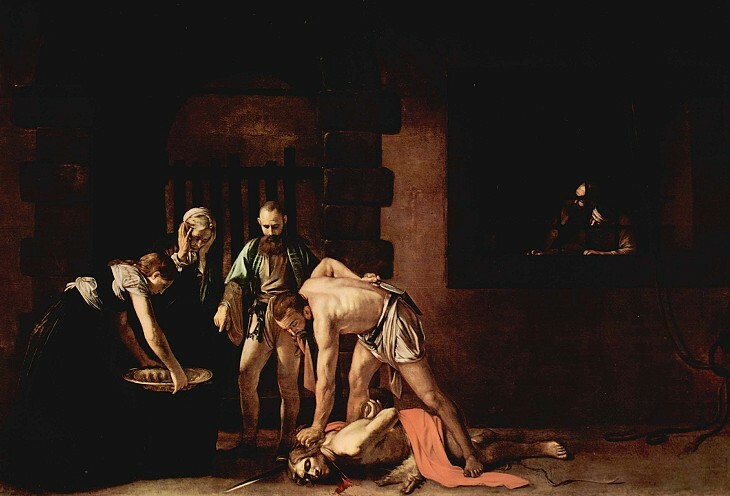 In 1607 Wignacourt granted asylum to Caravaggio, an Italian painter who was highly esteemed by the pope, but who had to flee Rome because of a charge of murder. Wignacourt commissioned Caravaggio his portrait (it opens in another window), The Beheading of Saint John the Baptist (it opens in another window) and other paintings. During the government of Wignacourt the Knights made several raids in Greece and Tunisia to loot towns and capture civilians (Valletta was a widely renowned slave market). In 1610 they managed to seize the fortress of Laiazzo at the eastern end of the Mediterranean, very far from Malta. In 1615 the Ottomans made an attempt to raid the Maltese countryside and capture peasants, but their ships were detected in time and the villagers found refuge in the many fortresses of the island. After the long government of Wignacourt the Knights decided they wanted a more frequent turnover and they elected Luis Mendes de Vasconcellos who was eighty years old and stayed in office for just six months. During the first half of the XVIIth century the Ottoman Empire was busy repressing several local revolts and containing the attacks of Persian Safavids in Iraq and Armenia and of Russians and Poles in Eastern Europe. During the same period most of the European countries were involved in the Thirty Years' War, a very destructive conflict which was mainly fought in Germany. Because of the above mentioned factors the Mediterranean was a region of relative peace, if not for the raids of the Knights of Malta which continued throughout the government of Grand Master de Paule. According to a census carried out in 1632 the population of the Maltese Islands amounted to 50,000, five times the estimated number of inhabitants in 1565. The Grand Masters needed the booty of the raids, including the slaves, to complement the revenues of the European possessions of the Order. 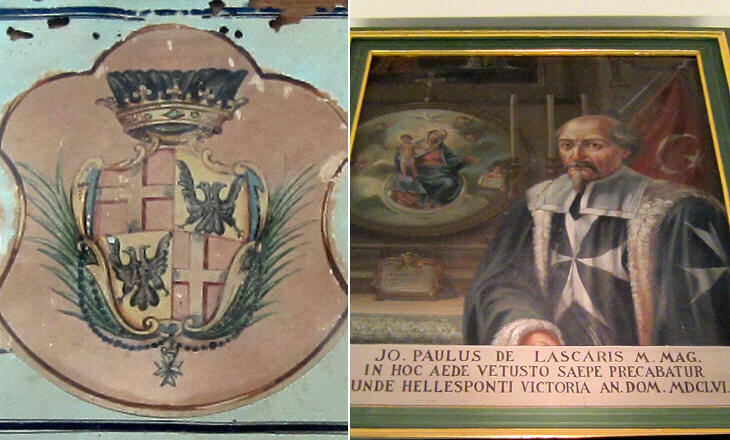 Grand Master Lascaris was a descendant of Theodore I Lascaris a Byzantine prince who, after the fall of Constantinople in 1204, established an empire at Nicaea. 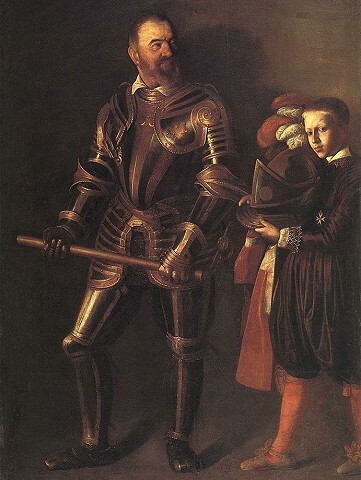 Lascaris' main task was to soothe the contrasts between the Knights of the French tongues and those of the Spanish ones. These arose from the French intervention in the Thirty Years' War at the side of Sweden and against Spain. Lascaris had also to deal with the Spanish threat to stop vital supplies to Malta from Sicily and the French one to confiscate all properties of the Order. In 1644 the Knights captured an Ottoman galleon carrying a woman of the Sultan's harem accompanied by her infant son. The event occurred off the coast of Rhodes. On their way home the Maltese ships called at Castel Selino on Crete, but the Venetian commander refused to let them enter the harbour as did the Venetian governor of Cerigo. These refusals were motivated by the desire to avoid negative impacts on the relations between Venice and the Ottomans. Sultan Ibrahim was furious at the news of the Maltese action. During the following winter spies noted that a major fleet was being rigged at Constantinople and Lascaris made preparation to repel the expected invasion of Malta. On April 30, 1645 more than 400 vessels sailed from the Dardanelles into the Aegean Sea. They called at Tino, a Venetian island, where the Ottoman commander was amicably received, they then reached Navarino on the Ionian Sea, the Ottoman port nearest to Malta, but the island of the Knights was not the ultimate objective of the fleet. On June 23 the Ottomans landed on Crete near La Canea; it was the beginning of the War of Candia which lasted 24 years. The election of Grand Master Redin was vetoed by the Inquisitor of Malta on the grounds of the candidate's simony and immorality. Redin's supporters however were so determined that the election went ahead. The Inquisitor appealed to Pope Alexander VII, who had held that position during the early stages of his ecclesiastical career. The pope refused to intervene and a short time after this decision Redin assigned an important commandery (a territorial division of the European properties of the Order) to Carlo Bichi, a nephew of Alexander VII. Redin built a series of coastal towers including that at St. Julian, a borough which today is Malta's night life district. Grand Master Clermont headed the Order for less than four months and he did not leave much evidence of his government, notwithstanding what a very long inscription on his tomb says. 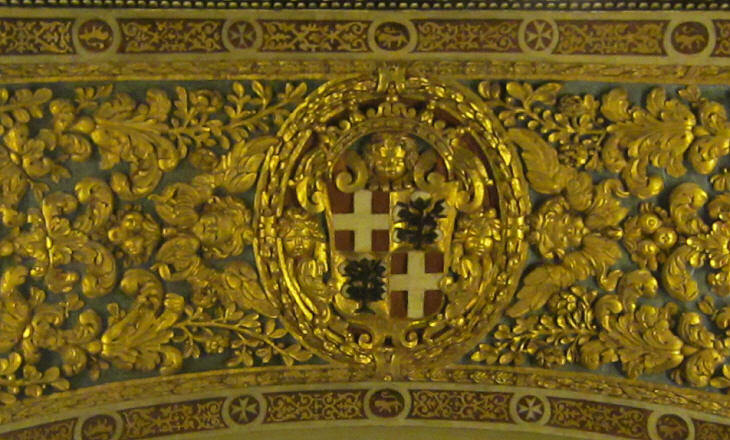 The twelve Grand Masters who headed the Order between 1530 and 1623 are buried in the crypt of St. John's Co-Cathedral. 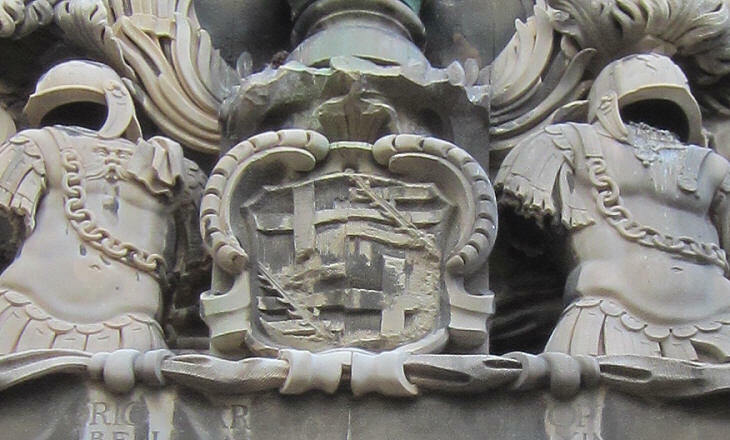 Their funerary monuments are relatively simple; the most imposing ones have a medieval appearance; they are gisants, monuments where the dead is portrayed lying on a sarcophagus. The majority of the Grand Masters after 1623 are buried in the chapels of the tongue they belonged to in richly decorated marble monuments similar to those of the popes in St. Peter's in Rome and which, in some cases, were designed by leading Roman sculptors. An unwritten rule stated that the Grand Master should be chosen alternatively among the French or the Spanish knights; after the French Clermont it was the turn of the Spanish Cotoner. He helped the Venetians in their struggle to retain control of Candia and in their 1660 failed attempt to reconquer La Canea. The Venetian Senate authorized the Knights to walk armed in all territories of the Republic in recognition of their support. 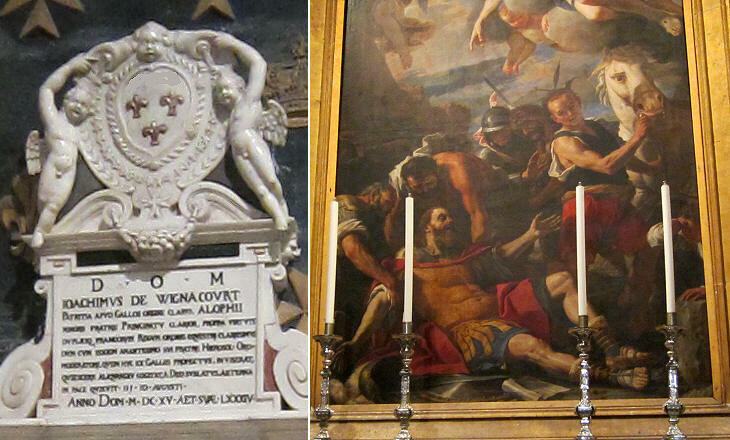 Rafael Cotoner commissioned Mattia Preti, an Italian painter, the decoration of the entire vault of St. John's Co-Cathedral with scenes from the life of St. John the Baptist, the patron saint of the Order. Preti was a renowned painter who had worked for some thirty years in Rome, Naples and other Italian towns. He had experience in large decorative paintings as he was commissioned three large frescoes for the apse of S. Andrea della Valle by Donna Olimpia Maidalchini, sister-in-law of Pope Innocent X. The election of Nicolas Cotoner, brother of Rafael, was an event which had only one precedent in the history of the Order, that of the Villarets (Guillaume and Foulques) who were Grand Masters during the turbulent years the Knights spent on Cyprus. Nicolas Cotoner continued to support the Venetians in their resistance at Candia which lasted until 1669 when a peace was signed by which the city was surrendered to the Ottomans, but Venice retained three fortresses along the coast of the island. Cotoner feared that the next Ottoman move would be an attack on Malta; he asked Antonio Maurizio Valperga, an Italian engineer and architect, to visit the fortifications of the island and make recommendations. Valperga suggested the construction of a brand new curtain of walls (today known as Cotonera Lines) to protect a large enclosure to the east of the Three Cities (Borgo/Vittoriosa, Isola/Senglea and Bormla/Cospicua). At one point Coroner had to abandon the undertaking because he had exhausted the treasury of the Order and his own. During his government the decoration of St. John's Co-Cathedral was completed. The election of Gregorio Carafa was probably helped by his being brother of Cardinal Carlo Carafa della Spina and his mother being a niece of Pope Paul V. In addition he belonged to a powerful noble family of southern Italy, so his king was the King of Spain. 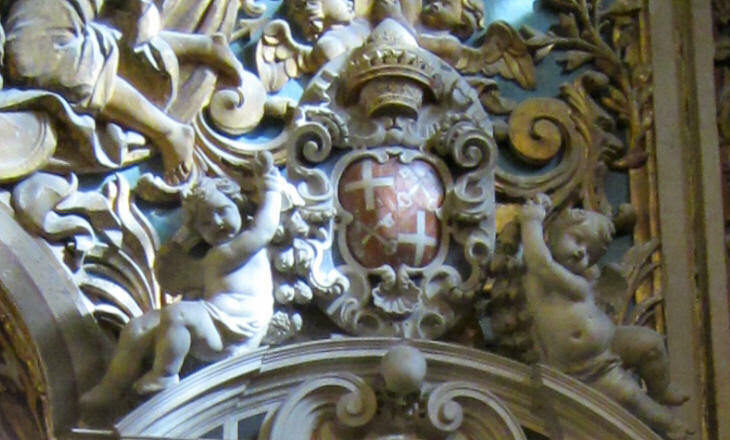 Books on Malta always refer to him as Carafa della Roccella, but it would be more correct to say Carafa della Spina as a spina (thorn) can be seen on his coat of arms. After the failed Ottoman Siege of Vienna in 1683, Pope Innocent XI promoted a Holy League against the Ottoman Empire and Malta sent its warships to support the Venetians who in a matter of months conquered the whole Peloponnese and seized Athens (which at the time was almost a village). 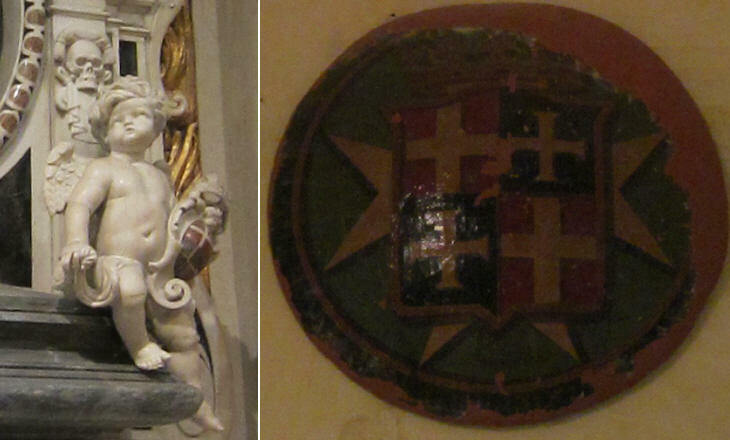 Unlike his kinsman Alof, Adrien did not leave an evident mark of his government on the monuments of Malta. 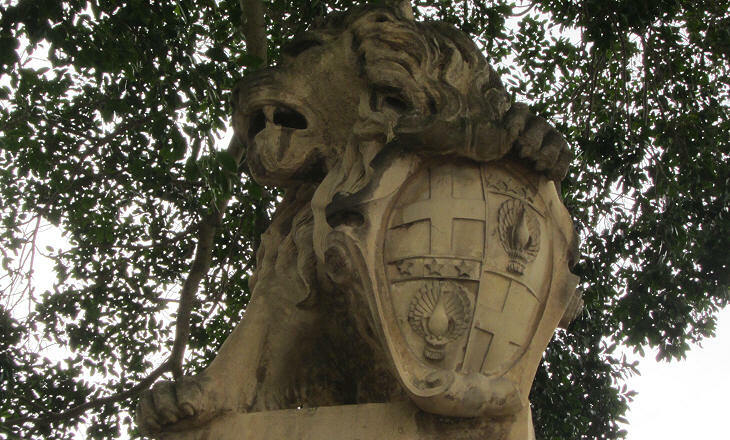 He chose instead to open a fund for the widows and orphans of the many Maltese soldiers who had perished during the long war with the Ottomans which went on until 1699. 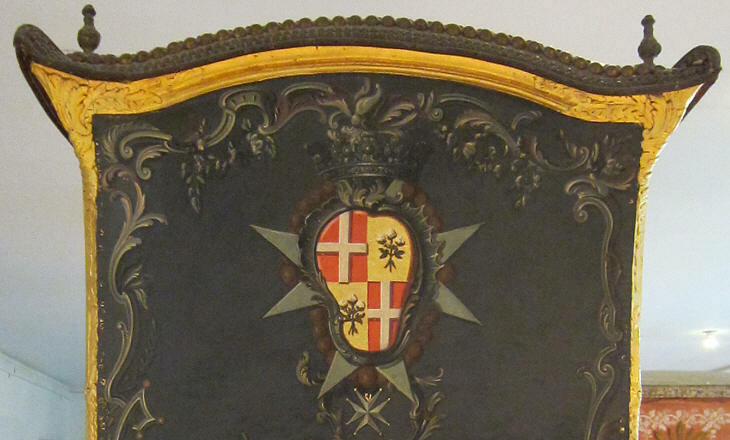 The image used as background for this page shows a coat of arms of Grand Master Gregorio Carafa della Spina in St. John's Co-Cathedral.